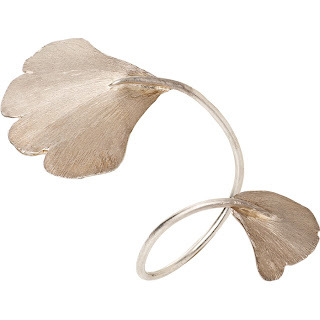 From the fantastical enchanted garden that infuses Catherine Malandrino's fall collection comes this free-spirited leaf bracelet, ready to encircle your wrist with a whimsical insouciance. Made of silver-plated hand-hammered brass. 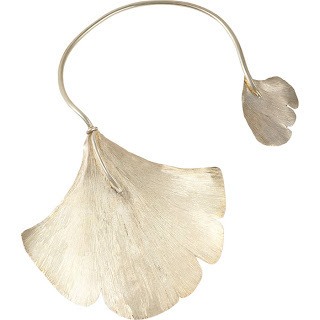 From the fantastical enchanted garden that infuses Catherine Malandrino's fall collection comes this free-spirited leaf necklace, ready to grace your neckline with an unstudied, ethereal elegance. Handmade torque in silver-plated brass. 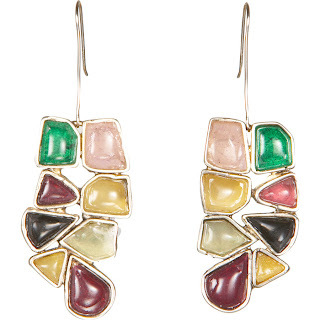 A whimsical mosaic of multicolored glass stones handset in silvered brass frames creates a dramatic, spirit-lifting pair of drop earrings. For pierced ears. Vividly hued stone rectangles gleam atop silver-plated bands. 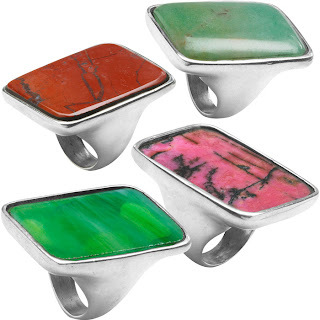 Choose brick red aventurine, blossom pink rhodonite, light green aventurine or dark green jasper.